On the Sunday of the Holy Fathers of the Seventh Ecumenical Council, Bp. 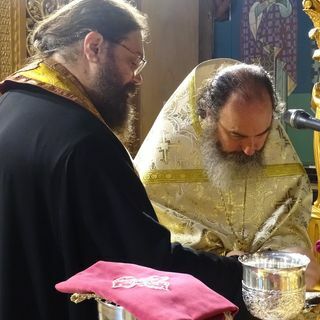 Irineos discusses the decision of the council on the veneration of the Holy Icons, and responds to the accusation that icons violate the second commandments prohibition on "graven images." We'll look to the original Hebrew and Greek texts to see what the second commandment actually prohibits and how icons and religious art in general are clearly not forbidden .